The Frankfurt’s well-known Life Style Bar (non-smoking) offering cool drinks with varied live music and exquisite meals. Please note the Sushisho restaurant will be closed from 22 December 2018 to 06 January 2019. 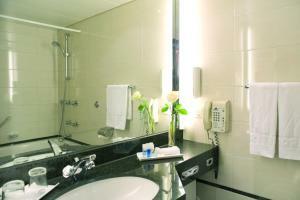 Stylish, air-conditioned room with satellite TV, free WiFi, a minibar, and a private bathroom with a hairdryer. Bathrobes and toiletries are also provided. 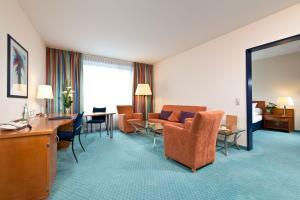 This non-smoking stylish superior room features a double bed or two single beds and offers views of the Frankfurt skyline. It comes with a work desk, a safe, free WiFi, as well as coffee/tea facilities and an iron and ironing board. The private bathroom is fitted with a hairdryer. 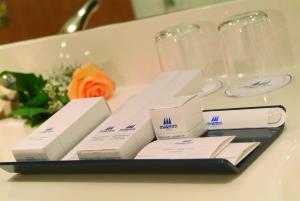 Stylish, air-conditioned room with satellite TV, free WiFi, a minibar, and a private bathroom with a hairdryer. Bathrobes and toiletries are also provided. Upper-floor room with views of Frankfurt’s skyline or the exhibition grounds. The elegant air-conditioned suite features a living area, a large bathroom and a large working area, free WiFi, satellite TV, a minibar, beverage making facilities, a trouser press and a private bathroom with a hairdryer. Bathrobes and toiletries are also provided. Exclusive air-conditioned suite stylishly furnished with satellite TV, free WiFi, a minibar, beverage making facilities, a trouser press and a private bathroom with a hairdryer. Bathrobes, toiletries and an exercise machine are also provided. 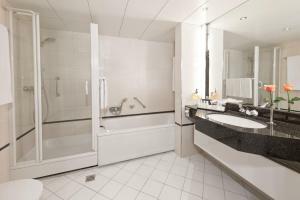 Includes a lounge with work area, free newspapers, and a marble bathroom with corner bath and double sinks as well as a separate guest toilet. 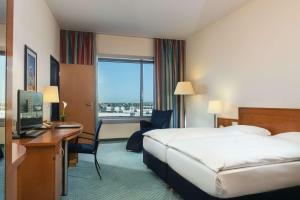 This double room features a view, minibar and satellite TV. 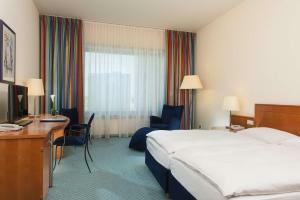 This double room has a soundproofing, minibar and air conditioning. 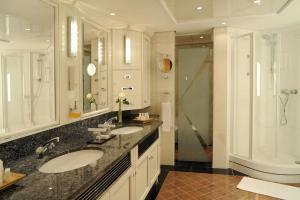 This suite features a minibar, air conditioning and flat-screen TV. This suite has a satellite TV, soundproofing and seating area. 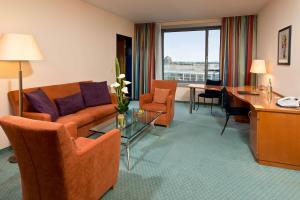 This suite features a seating area, air conditioning and minibar.